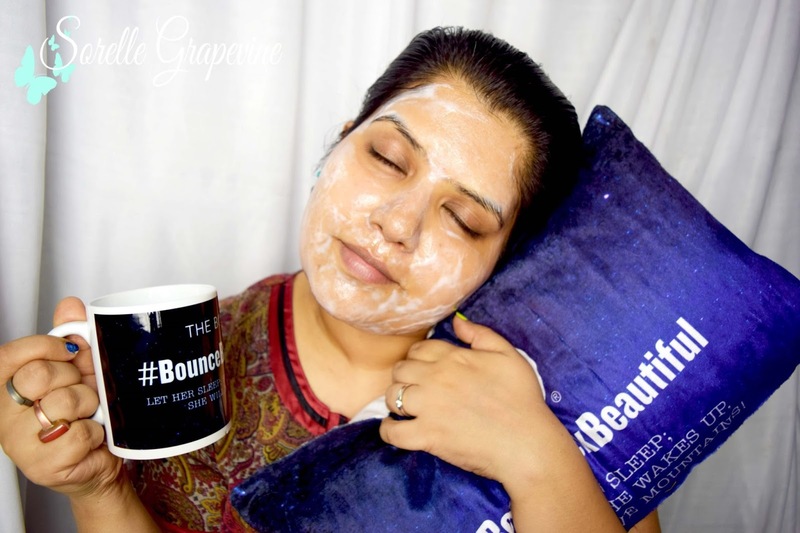 I first came across the concept of a sleeping mask when I discovered Korean products. The idea seemed strange at first coz since a young age we are drilled with the admonitions of our mothers to not talk while having a mask on as it would result in wrinkles. How does one sleep in something which essentially hardens up on your skin? How does it work? Is it safe? Well turns out that all my apprehensions were baseless as these masks are specially formulated to be gel like and though they do dry down (well most of them do) they don’t form a hard layer of the standard packs. Most form a light film on the skin while some even stay wet all through. But they are mainly meant to deliver moisture to the skin and do that job to a T.
I don’t get a restful sleep usually and at max can sleep for 3-4 hours at a stretch on good days as opposed to being able to sleep for 10-12 hours when I was younger. After getting up many times through the night, tossing and turning all through I get a semblance of what is known as sleep. But I kid you not…after applying the mask there was something soothing about its smell and it made me very drowsy. I got to sleep for 5-6 hours like a log! Honestly was so surprised. I mean getting that was enough for me coz after a long time I felt fresh and raring to go. But on top of it even my skin looked fresh as if it had gone through an intensive moisturization treatment which it had. The mask comes in a glass jar and has a scoop included in the box. It has a thick bouncy gel texture (sounds strange but it is bouncy) and a very soothing smell which I cant exactly put my finger on but seems like a mix of floral and lemon fragrance to me. Initially I didn’t know the correct way to apply this and ended up putting on a really thick layer of it which didn’t really dry through the night. But later on after seeing a TBS expert talk about it I learnt that the mask melts with some heat. So you need to either rub it on your palm to melt it or apply a pea sized dollop to your face and use your fingertips to massage it in. The heat from the tips melts the pack and spreads it. Repeat the process till your face is covered. This way the pack dries on the skin and you don’t end up transferring it all over your bedding. The mask is on the pricey side ie Rs. 2295/- for 90 ml but if you use it properly then you end up using very little of it at a time and I have barely scratched the surface on mine even after both me and my mom using it pretty often. It doesn’t do much for my mom’s skin but she has been suffering from insomnia of sorts due to her health and the medicines that she takes. Even she got a good 2-3 hours of sleep when she used this which was a blessing and a half. I was asked on Twitter how often should one use this and I will say it depends on your skin. If you need a lot of TLC then you can apply it daily for atleast a week and then moderate as per your skin’s requirement. I use it when my skin feels especially dry or if there is a special occasion the next day. This pack suits all skin types. Waking up to fresh looking well moisturized skin the next morning! 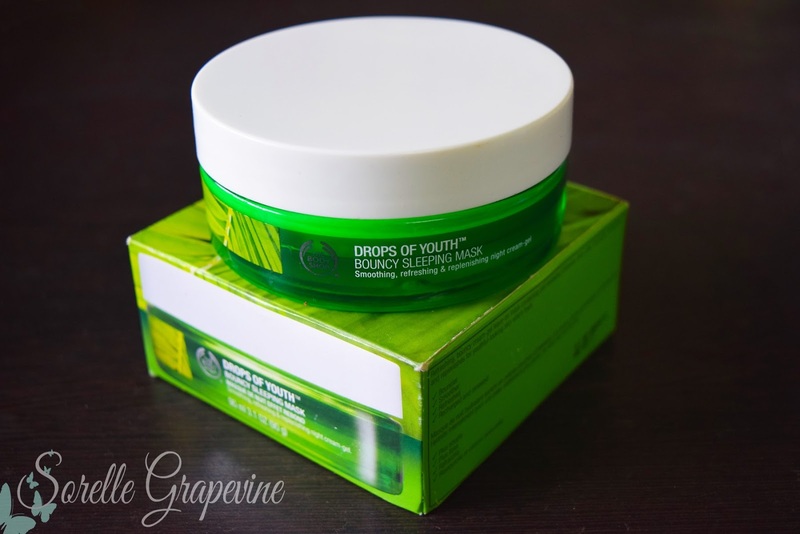 The Body Shop Drops of Youth Bouncy Sleeping Mask delivers on all the promises that it makes and I am very happy with the results. For me the uninterrupted sleep I get makes up for the price of the product. Anything on top is a plus! Do try it out for yourself. My friend Dolon of Poutpretty was hosting a giveaway where you could win yourself one of these so head on down to her blog to participate. If you have already tried this then do let me know what you think of it. Catch you around! Did you know that Drops of Youth skin serum is one of the best selling products at The Body Shop where one bottle is sold every 28 secs! 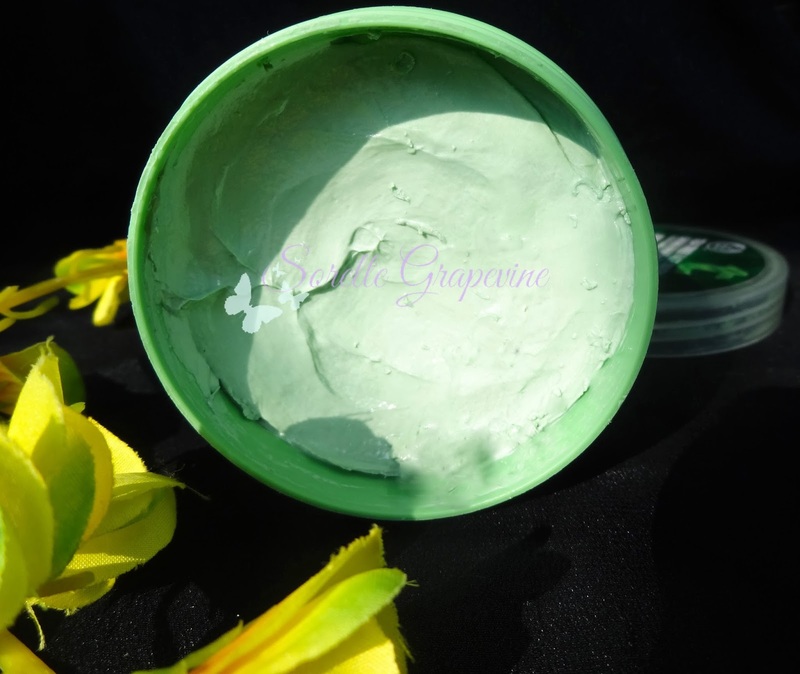 It is a part of their Nutraganics range and 98% of its ingredients are of natural origin. 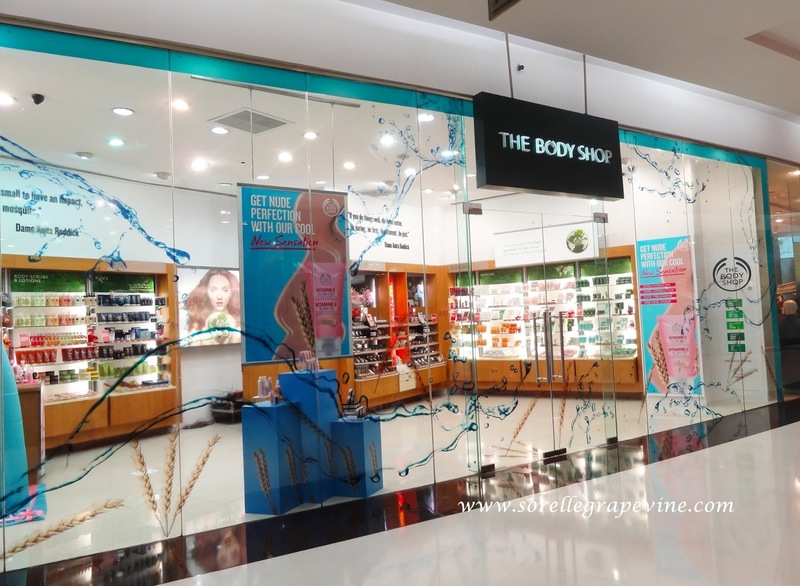 To complement this popular product The Body Shop recently launched an eye concentrate and held a big event out here to celebrate it. It was a two part thing where in the morning Jacqueline Fernandez, their brand ambassador, came and met the media and customers in the morning and then in the evening a bloggers meet was held. This has been their 3rd event in this city so far and as always it is such a pleasure to interact with their team members. We were in for quite a treat as they had a whole bunch of activities planned for us – eye massage, make-up, caricature, photo booth/area and some yummy food! The front had been decorated like a garden with a turf and beautiful white flowers beckoning us. Aradhika introduced us to the eye concentrate and told us that the white flowers gracing the entrance were Edelweiss which grew and thrived in the harsh climate of the Alps. With the help of stem cell technology and after 7 years of research they had harnessed the power of this miracle flower and created the Drops of Youth Eye Concentrate. Not only is it supposed to address the presence of fine lines and puffiness but also helps to tighten and lift the skin around the eyes. This last point actually caught my interest the most. I have noticed some drooping in my eyes which is just so weird to see and I’m hoping that this serum will be able to address that. 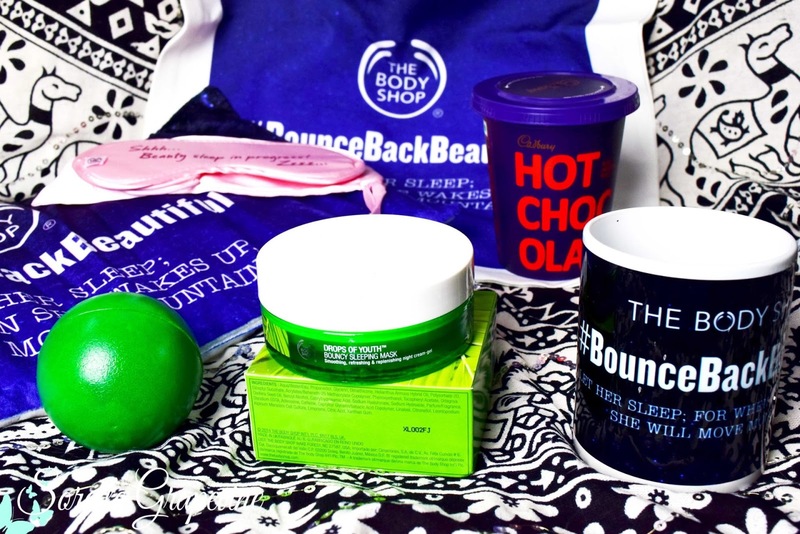 The Body Shop has some of my most favorite and effective products in their arsenal which feature on my repeat purchase. 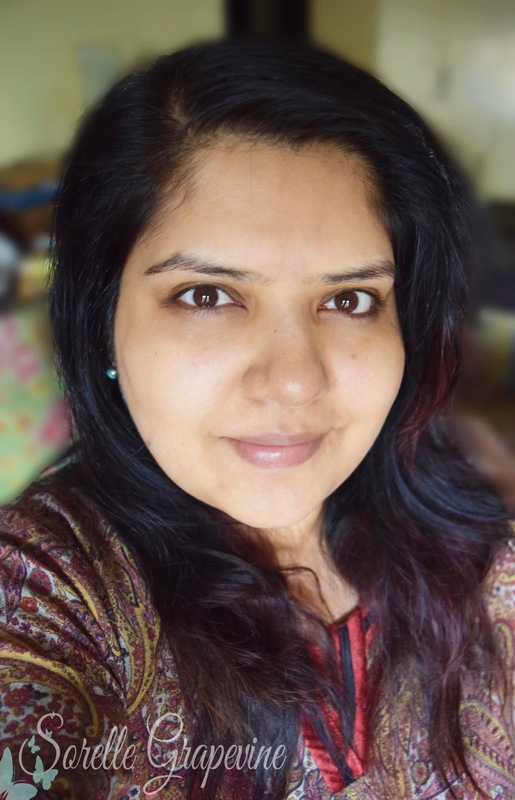 It remains to be seen if these two products will make that list 🙂 Well among all the chatter and eats, I got an eye massage done….OMG! The girl was so good! I was nodding in my chair and then she told me suddenly it was done 🙁 Damn! It got over too soon. “Meet our skincare hero, Vitamin E Cool BB Cream. Our new take on BB cream illuminates, evens skin tone and protects with moisture for 12 hours. 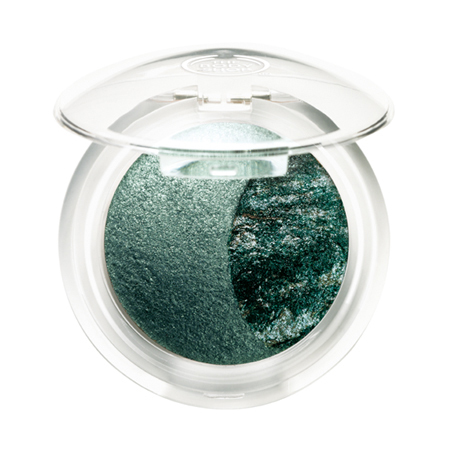 Available in one cool shade, the lightweight texture will effortlessly blend onto skin for a fresh and natural look. It comes in a tube packing with a flip cap. The product is easy to dispense out and you get a decent amount coming out in a squeeze of the tube. If you take too much out then you can easily return the extra to the tube. Just pull the cap off and you will find a wide mouth inside. The nature and material of the packing keep it light and quite easy to take with you on travel. But yes there will be product wastage and also it tends to deposit around the rim of the outlet. 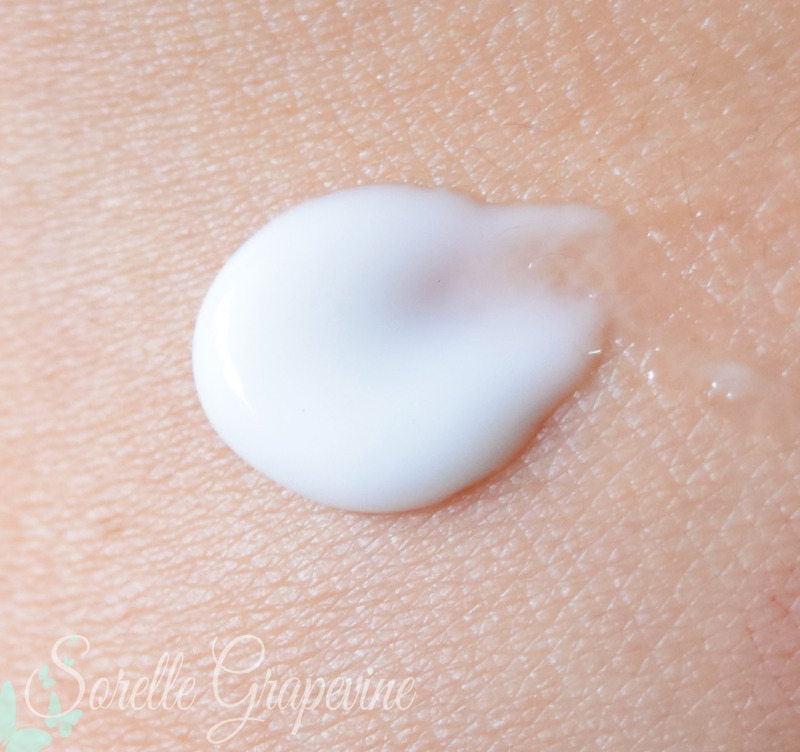 The cream has a dense texture but when applied it glides on to the skin quite easily. They do say that it is cooling which is more of a oh-my-face-is-moist kind of feeling rather get-this-stinking-menthol-product-off-me cool 😀 😛 The quantity that you will need to cover your face will depend on the kind of coverage you are looking for. This gives a light to medium one generally. Your face gets a nice glow and looks quite fresh. It has a mild fragrance to it. Don’t pay attention the the difference in skin tone. That is due to the light and shot taken. Pictures taken on freshly washed skin only. Like it mentioned earlier this mainly gives a light coverage but why I adore it is coz of the glow and freshness it imparts to the skin. My skin tends to be on the drier side these days more often than not and some days in a hurry when I had forgotten to moisturize my skin this was more than adequate. I didn’t get the stretchy uncomfortable feeling without my comforting layer of cream and that is saying something. Irrespective of how long you have had it on it makes your face look as if it has been recently washed, pampered, et all. I really cant say how long it lasted but I didn’t find it fading or looking patchy on me. However there have been times when my t zone got oily and a dab with some blotting sheet took care of the problem for me. It does cover my pores slightly. There is only one shade available in it which is a shame and it will definitely show up ashy on darker skin tones. I like the slight so called cooling sensation it imparts as it adds to the overall lightness feel of it. Even in the horrible heat wave we were having this didn’t make me uncomfortable or weigh me down. I find that it is ideal for people with normal to combination skin. People with oily skin should best avoid this. 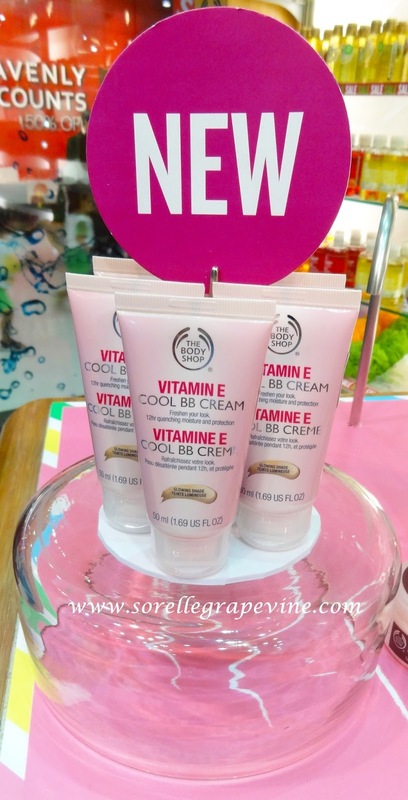 The Body Shop Vitamin E Cool BB Cream does everything that it claims. The only deterrent to its popularity would be its price tag. 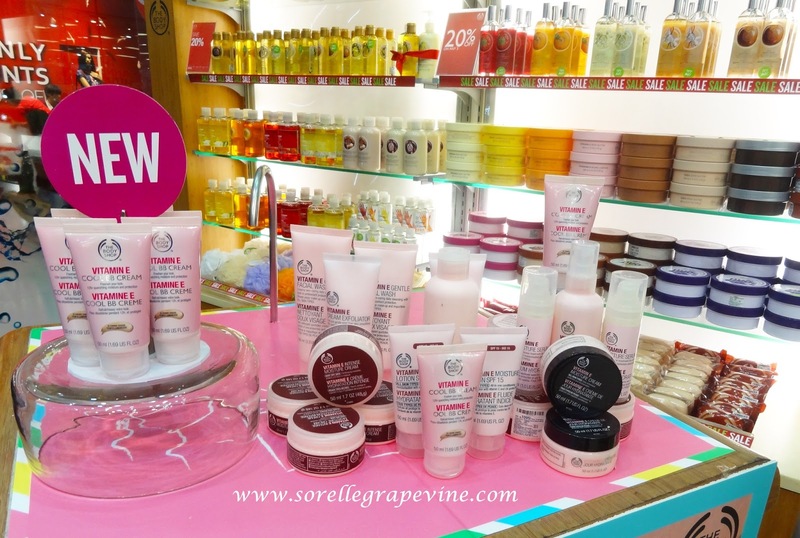 But then for Body Shop loyalists even that is not a barrier. 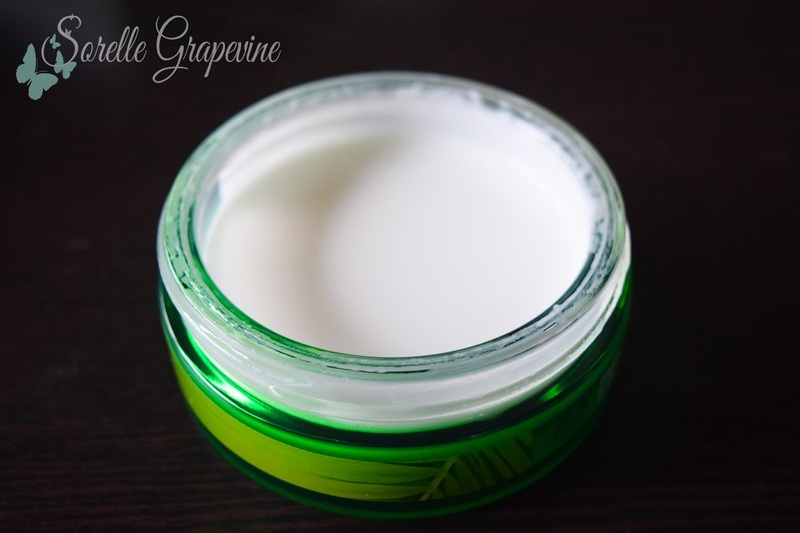 You can be sure that you have good quality product in your hand if you decide to splurge on it and it lasts for a long time (i have been using it for almost a year now and still have a good amount left) And that wraps up this review! Do let me know if you have tried this product and your thoughts on it. I will see you soon. Buh bye! 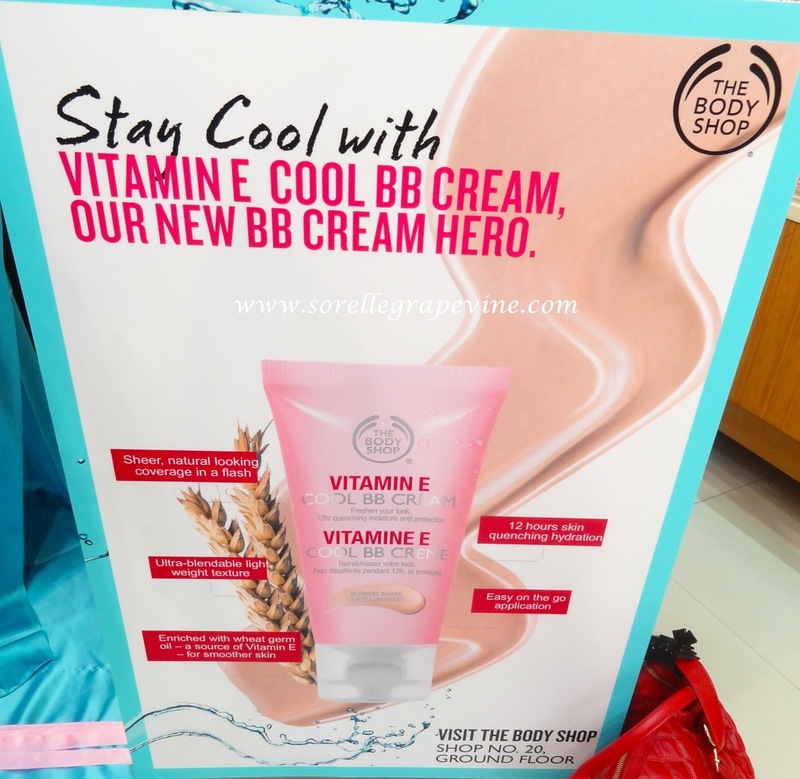 Will you purchase The Body Shop Vitamin E Cool BB Cream again? I might. 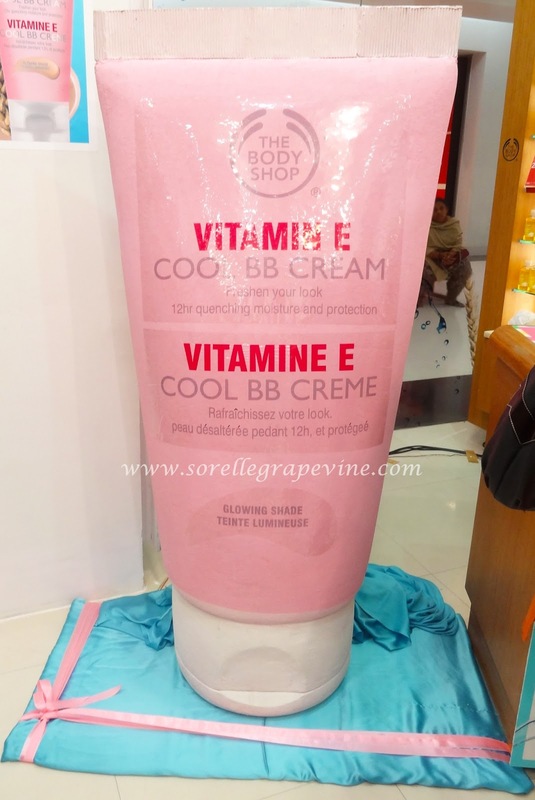 Will you recommend The Body Shop Vitamin E Cool BB Cream to your friends? – Depending on their skin type, yes I would. “This luscious lipstick gives a stunning pop of color and rich moisture, infused with a subtle rose scent. The lipstick tube is about 2 inches in length. The main body has a metal feel and finish to it. The cap is made of plastic and matches the color of the product. It has the Body shop logo printed on it. Looks quite nice and attractive. Quite light weight and very convenient to tote around. What I didn’t like was that the shade name was not printed on it anywhere. It was just present on the outer plastic wrapper which ends up getting tossed and leaves you no way to figure out the shade name later on. It has a wonderful creamy texture to it which gives you a rich pigmented finish. They say that it has a light rose smell to it but it smelled more like berries to me mixed with something else which I could not place my finger on. One swipe gives a lush full coverage to your lips. Since it coats your lips they are left feeling comfortable and moisturized. What I liked best was that the color does not shift around when you run your lips together. It does have a tendency to feather so do apply a lip liner with it. It is a rich red color with a slight blue tone to it. There is a nice sheen to it but it does not have any shimmer to it. There is a mild fragrance when you first put it on but it fades off soon. It covered the pigmentation of my lips completely. In the kiss test, even after the 10th kiss I had a proper red color on my lips. The only difference was that from a creamy rich red it had faded down to a matte red. It has an amazing staying power! Even after a meal/drinks it holds on to your lips and does not leave them looking patchy or n*de at any point. Red siren lives up to its name…a rich captivating color that will linger on 😀 I was actually quite bowled over with its lasting power. I was on the fence about getting these when I had first heard about their launch but now I will go and get the coral shade I had liked when I did a swatch fest in the store. I usually end up getting eye shadows (fab pigmentation) or bath/body products from the brand. But it is good to see them bring in something so amazing to bowl us makeup freaks over. Do try them out. If you have already, then which one is your fav color from it? I will catch you soon! Would you purchase The Body Shop Color Crush Lipstick Red Siren again? – Maybe not for variety’s sake. But I would like to try out the coral color from the range. Would you recommend The Body Shop Color Crush Lipstick Red Siren to your friend? – Yes I will. This instantly cooling face mask cleanses, soothes and refreshes the skin. The TBS mask comes in what is know as a tub packing. The body is light green in color similar to that of the product and the cap is transparent. Both are made from a good quality plastic. The tub contains 110 gms of product. Some may find the type of packing to be unhygienic as they would have to dip their fingers in the product but this can be easily remedied by the use of a spatula. Personally I like the packing as it ensures less wastage of product and more control over how much you take of it. Sometimes tubes and pumps end up dispersing more than required. The packing is spill proof and can be carried easily for travel. 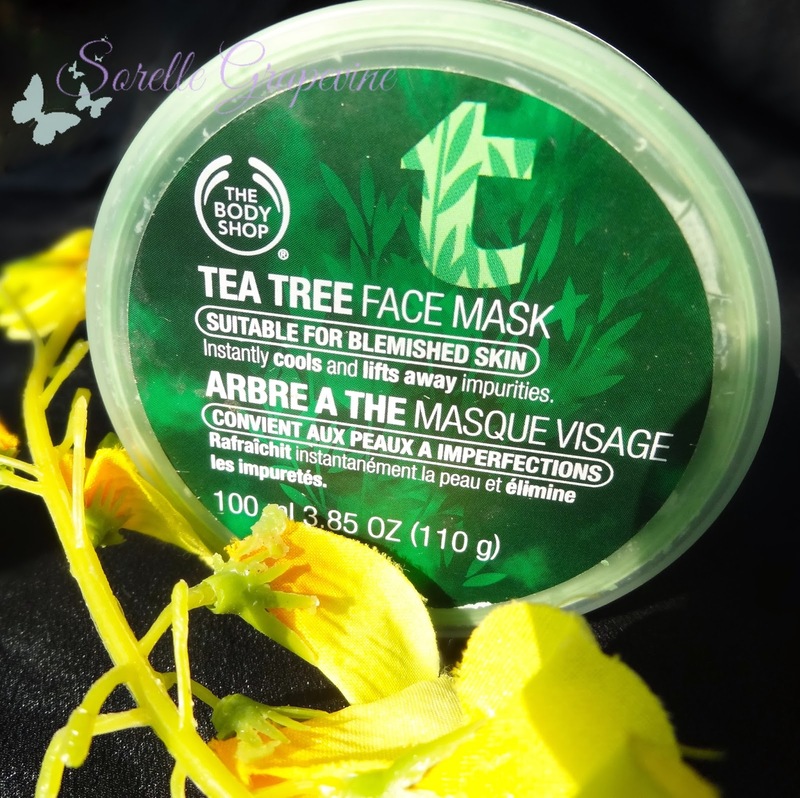 The mask is light green in color and has a strong tea tree smell to it. 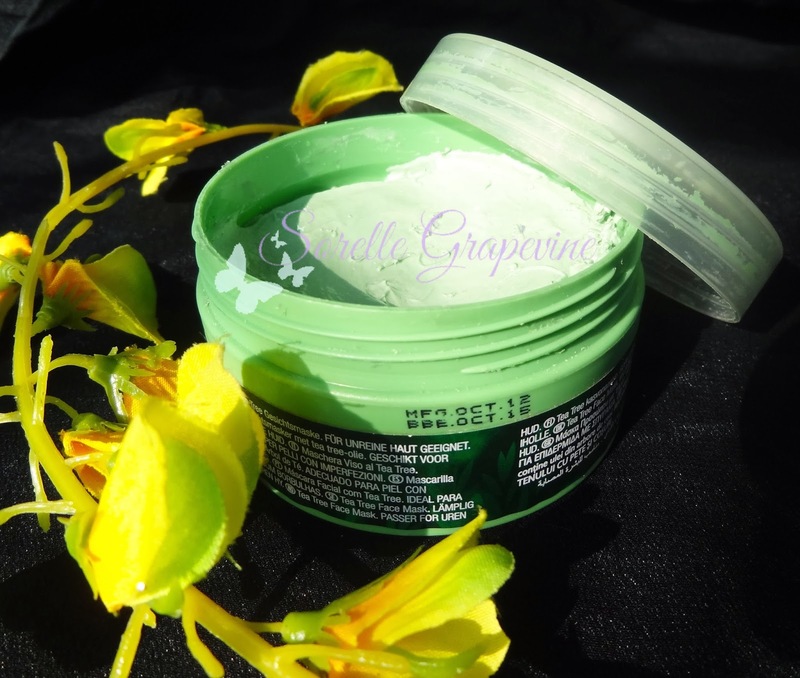 It has the consistency of a light cream and does not dry and become hard on the skin. TBS advises you to use this 1-2 times a week avoiding the eye and lip area and to wash it after 10 minutes of use. The pack does tingle on the skin and you need to avoid using it if your skin is broken from somewhere. Do a patch test with it on in the inside of your arm before using it for the first time. Given the consistency of the stuff one does not need a whole lot of it to apply all over the face. Like I mentioned before I used this more as a spot treatment initially. I have combination skin so I didn’t want to apply it all over as a) I didn’t really need it and b) I thought it might be drying (which it is). I would cover my pimple with the stuff and then just let it be. Sometimes I fell asleep with it overnight. Since the pack dries but does not harden it was safe to leave it on for long hours. Since I don’t get pimples usually, when I do end up with one I’m very conscious about it and uneasy. It keeps bugging me somewhere in my mind till it does not go away. For this reason I used this pack a couple times in a day. Usually I would end up leaving it on my skin for 2-3 hours and then I would wash it with water and reapply. This fixation of mine did help me get rid of it faster. What the pack does is that it throws the impurities out from your skin. Unlike other products which end up suppressing the pimple this actually makes it grow so that the pus comes out which is basically the infection and thus giving your skin the chance to heal properly. Some pimples which are very small tend to go away but more often than not they grow. You might consider it to be a bad thing but think about it. All the ickiness and problem lying deep underneath the layers is actually getting removed from your skin. 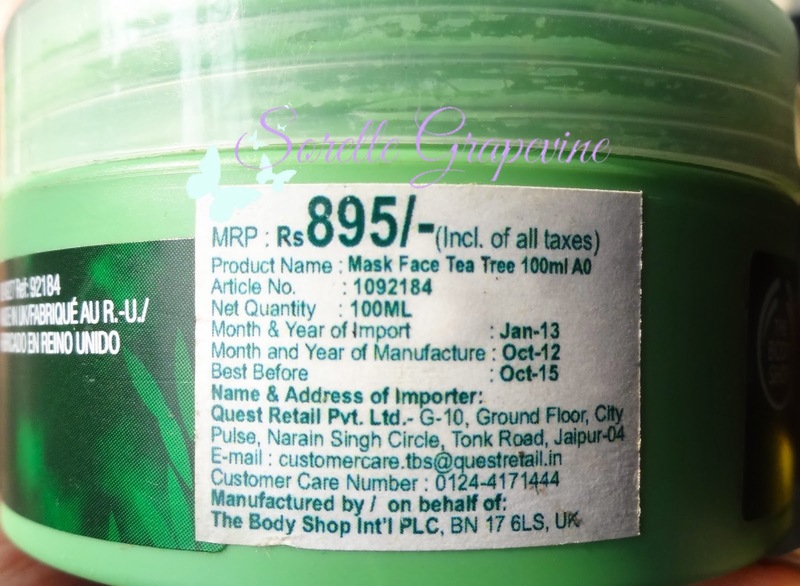 Would you purchase The Body Shop Tea Tree Mask again? – Yes I would. 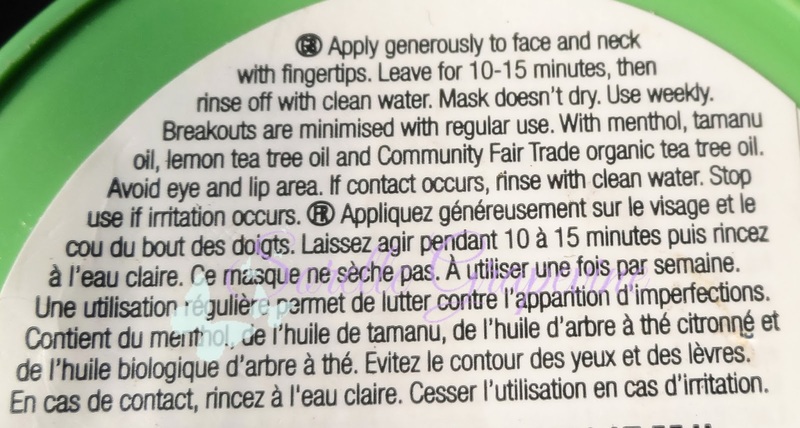 Would you recommend The Body Shop Tea Tree Mask to your friend? – Absolutely! I already have to a few of them. Hello! 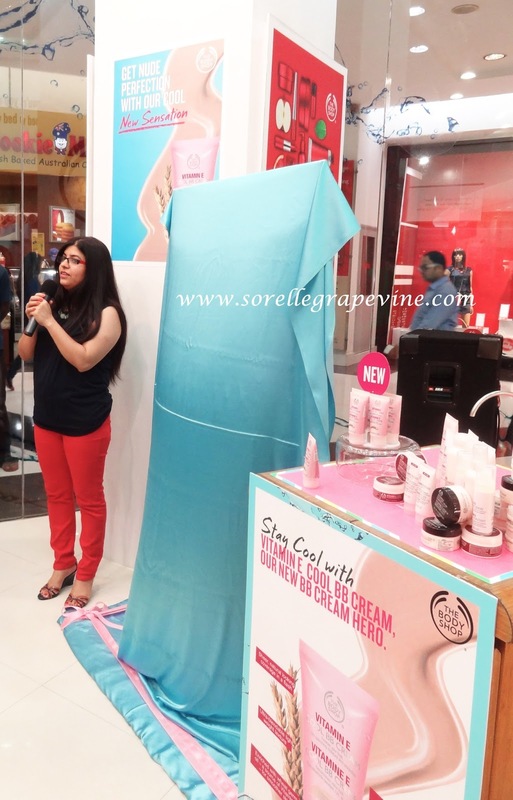 I got a chance to attend the first ever beauty blogger event held here in Kolkata. 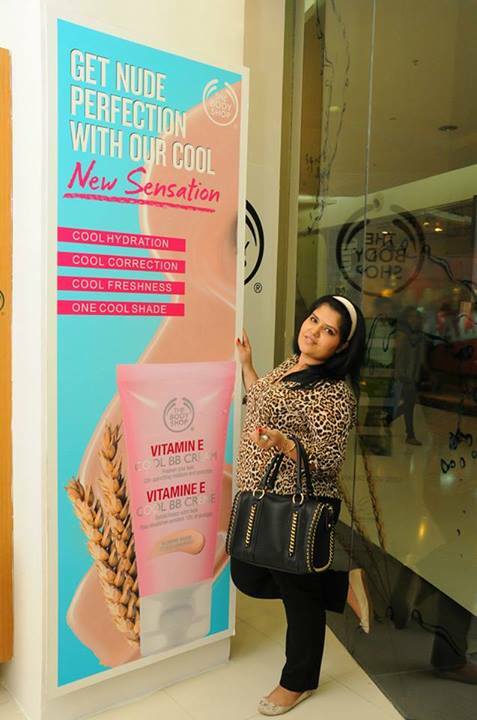 It was the launch of The Body Shop’s new Cool BB Cream from their very popular Vitamin E line. Dolon from Pout Pretty first told me about it and then I got an invite from the PR of the company. 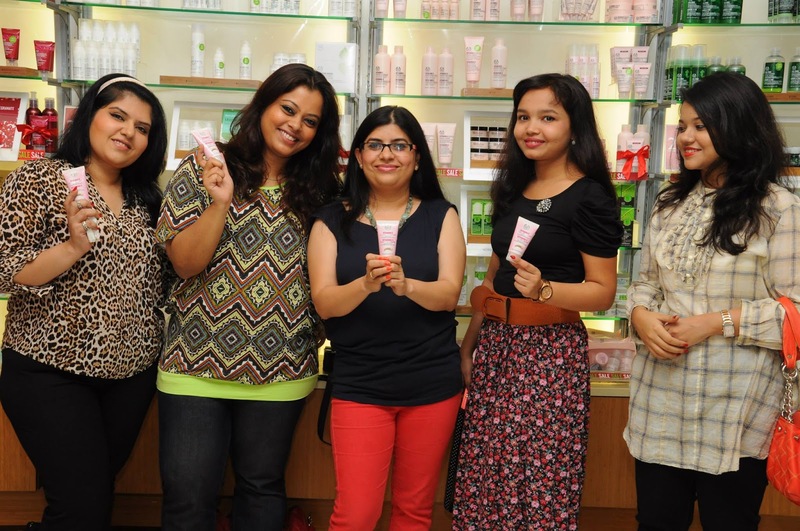 Finally we had our very own beauty related event. Inspite of this little glitch in the plan us bloggers had fun on our own and kept doing crazy poses all over the place apart from interacting with the Body Shop team. Honestly they are lovely warm people and it was great talking to them. Did you know that there is one Vitamin E product sold every three seconds from this brand?!? I was very surprised when they told me that little tidbit. Wow! Imagine that. I have used the makeup wipes from this line and I will say that I absolutely love them. I took them with me on my travels and by the end of the day when I would feel tried and lazy this is all I would use. Not only would my makeup come off (not the mascara so much) but my skin would feel clean and moisturized. I carry them every time with me now. 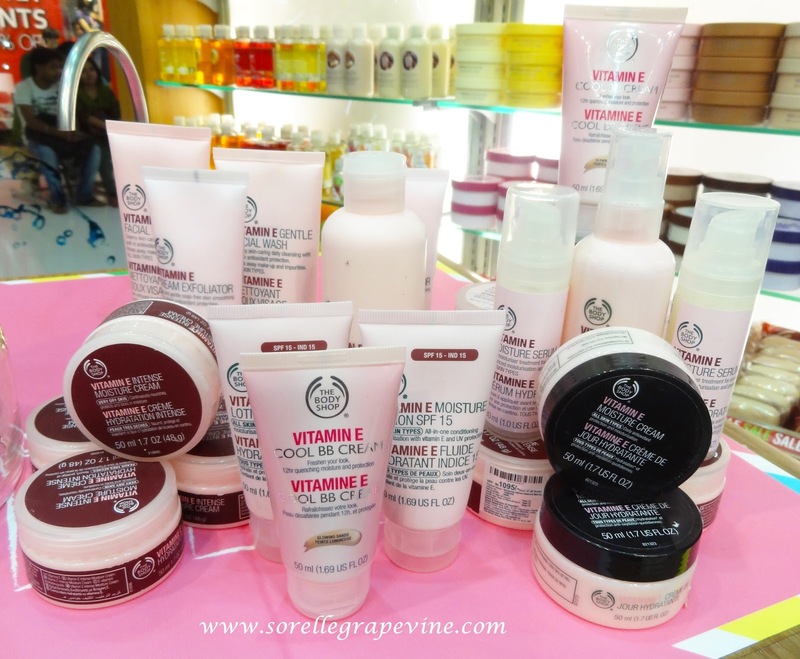 The Vitamin E line provides hydration and is meant to protect the skin. Targeted at all skin types this range as the name suggests contains Vitamin E which is sourced mainly from Wheatgerm oil. This is a huge range and contains an assortment of products from cleansers, toners, moisturizers, soap to creams, masks, serums, mists, lotions and now the BB cream. They even have some products catering especially for people with very dry skin. 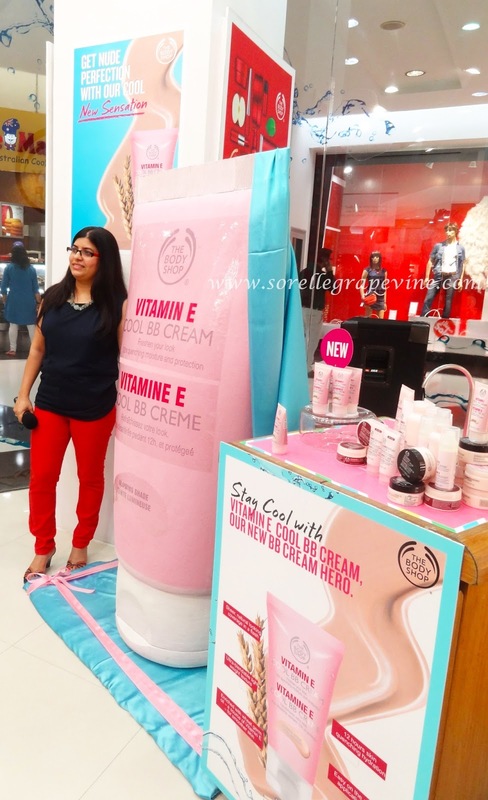 In the absence of Dia, Savita Dhami, Marketing Head of the brand introduced the product to the media that was present (boy there were a lot of them) and unveiled it. They had made this life sized reproduction of the bottle which is just too cute. I was expecting a banner of sorts but out came a tube in all its pink glory 🙂 Elizabeth from Product Training then took the stage and talked about the workings and benefits of the product in greater detail. There is only one shade available in this cream but it is meant to work on all skin colors. It helps to hydrate and illuminate the skin while correcting the complexion so that you can get a refreshed skin look. They claim that it provides moisture to you skin for upto 12 hours. Price is Rs. 995/- for 50 ml of product. We were then given demos for the product. 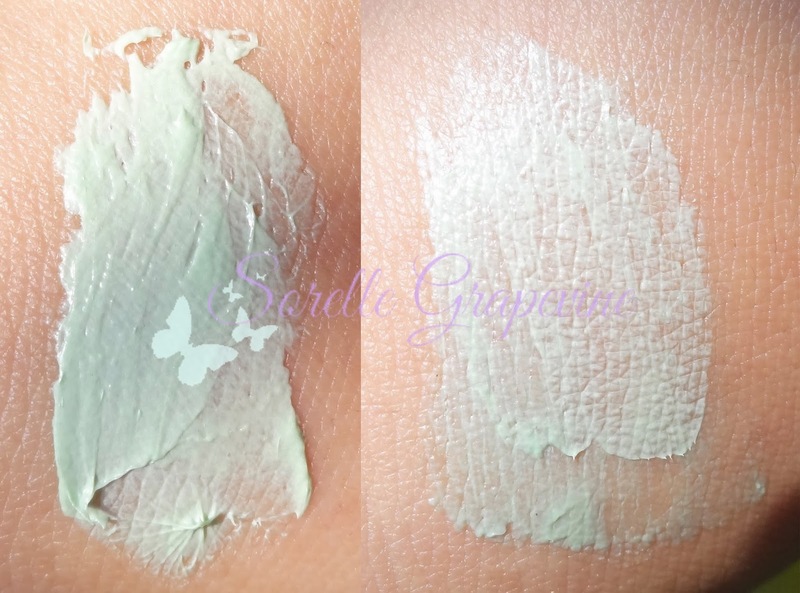 First impression – skin did look brighter and felt slightly cooler on application. Blended out well for everyone. Savita mentioned that she was wearing it and honestly her skin looked very fresh like she has just washed and moisturized her skin. Based on first impression I was eager to try it out. 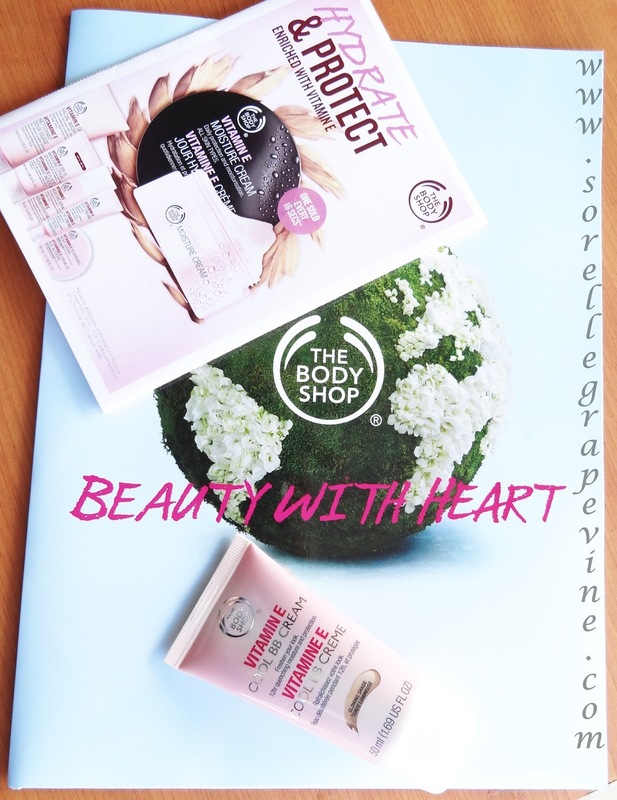 I was highly impressed by some of my past makeup purchases from Body Shop. They were definite winners. I bought this product at a discount off one of the Indian shopping sites. I was quite keen to try it out. This one however fell short of my expectations :(. The color is pretty but the texture is really weird. Dont get me wrong it is not dry or anything but you really need to go over and over with the product a couple of times to get a filled in line. It looked streaky most of the time and was a pain to build up. Oh and it didn’t come on for me on my waterline. Definitely a hassle for an eye product. The color is a metallic looking green with a green and gold sheen to it. The shade looks different under various angles of light. Sometimes it looks a light green and at times it looks like blackish green. Beautiful shade. I dont remember how much I paid for it but its price is listed as Rs. 415/- at the company website. I must point out that as they have been a lot of cases where people have ended up buying expired products online and I feel that it could be a case with this one. I checked the batch code on http://cosmeticswizard.net/ and found that my product was manufactured in 2009 :(. You know this is the last time I’m buying these products from an Indian online site at a discounted rate. I’m going to either buy it from the store or from International sites. Ah yes that reminds me – dont purchase the International brand cosmetics from Fashion and you or 99 Labels. They are selling expired products. I bought a lot of stuff from 99 Labels recently and spent a bundle. When I checked the dates almost all were expired. So if you like the color do try to swatch it for yourself in the shop and then see how you like it. I don’t want to write it off especially since I liked my other makeup purchases from this brand so much and am feeling very disappointed that I got cheated out of what could be a great product. Would you purchase it again? – Only if I find that it is worth it when I swatch it in the store. Maybe try out a different color. Would you recommend it to your friend? – At present, No! After my experience with Body Shop Shimmer Cubes I was tempted to explore what more they had on offer. My research online bought me across this baked eyeshadow on offer by them. They have 5 shades on offer out of which I liked this jade combination the best. I like the packing of it. It comes in a round plastic container which though is thin plastic but seems sturdy enough and is light weight. The texture of the product is really smooth and it can be worn both dry as well as wet. The pigmentation is decent and can be built upon as desired. I would describe the lighter shade as golden-ish light green with very fine gold sparkle. The dark shade is actually black with very fine green sparkle in it. I know it looks like a dark green in the pic and at first I though so too. But after swatching it for a few times I realized that it was actually black. The green sparkle makes it look like a dark green. Price Rs. 935/- for 2gms of product. Under different lights. I have both the colors on over NYX base in skin tone. Would you purchase it again? – Its pretty but no I would not. Would you recommend it to your friend? – Maybe. Its not like a must buy or anything. Its ok.